Tradisional Ip Man (TIM) Wing Chun would like to show our utmost gratitude to GM Siu Yuk Men, who has accepted sifu Martin Kusuma as his close door student, and also has provided Instructor Certification from Siu Yuk Men Ving Tsun Academy, Hongkong. 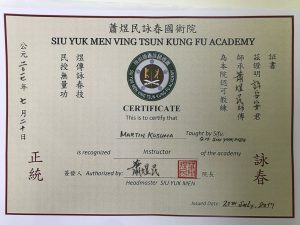 GM Siu Yuk Men is a closed door student of GM Ip Man since 1955, and has been a director at Ving Tsun Athletic Association (VTAA) up to now. 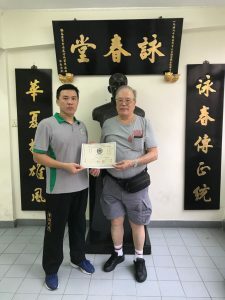 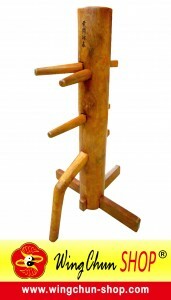 Untuk belajar wing chun langsung di hongkong biaya yg harus di keluarkan berapa dollar ya sifu martin tolong dong info nya?